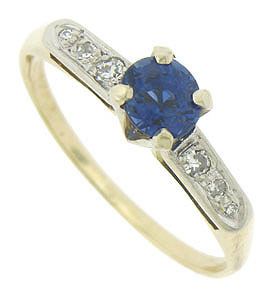 This elegant 14K yellow gold estate engagement ring features a .68 carat, round cut sapphire. Trios of fine faceted diamonds are deeply set into the rings white gold frosted shoulders. 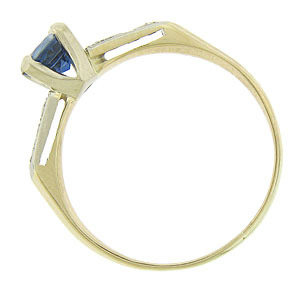 The ring measures 4.90 mm in width. Circa: 1950. Size 6 1/2. We can re-size.